This next car comes as a tip from Pushrod who writes: The owner has had this car posted for a while now. The price has come down once so far. Modifications appear very tasteful. Who doesn't like tasteful mods -- and a 6-speed late model BMW is just about perfect for daily driver use. 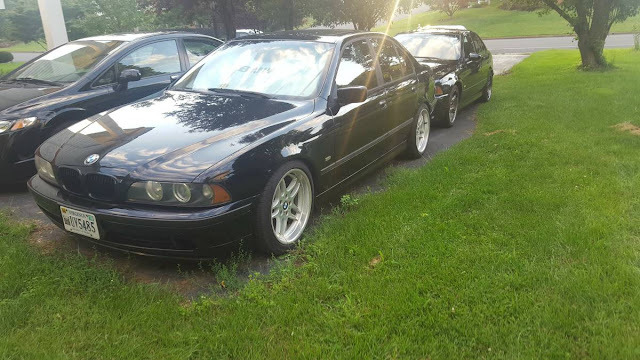 Find this 1998 BMW 528i offered for $6600 near Richmond, VA via craigslist. 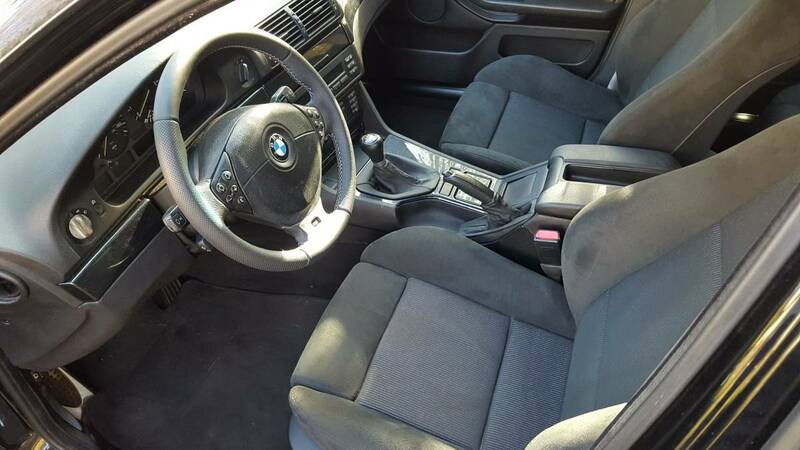 I have a black on black 1998 BMW 528i manual for sale. I've owned this car for over 10 years and have done an extensive amount of work on it. 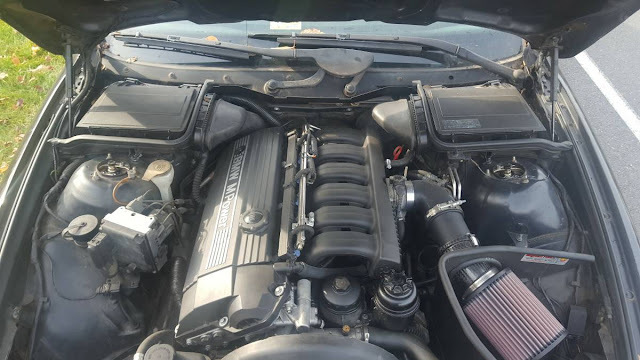 - Full bolt on - Shrick cams, M50 manifold, 24 lb injectors, Turner Shorty headers, 803 maf and custom tune. - 6-speed manual swap with 3.46 geared diff (non-lsd) - both were from cars with less than 50k miles on them. - Clutch and Flywheel have <500 miles on them and still breaking in. -18x9 OEM M parallel rims with Continental DW tires with 5-7k miles on them. - Full alcantara seats front and back imported from Europe.